I asked my mother, “How can you believe anything you read in the tabloids when they feature part-human, part-Martian babies on their cover page?” I couldn’t understand why otherwise smart women would believe the half-truths and blatant lies printed in trashy scandal sheets. But my mother and her sisters led mundane, insulated lives. For them, gossiping was a creative outlet. So when I met and married Stewart, my mother was very excited. Stewart was a publicist. My mother loved listening to his behind-the-scenes stories. She loved having this inside scoop. One night, Aristotle and Jacqueline Onassis, along with his daughter Christina and her latest boyfriend were having dinner in the small back room of Uncle Tai’s Hunan Yuan on the Upper East Side. The owner of this trend-setting, five-star-rated eatery was Stewart’s client. Having little to do as I sat alone in the large empty outer room of the restaurant, I periodically looked into the private dining area to see how the most famous, glamorous, elegant woman in the world used her chopsticks. I re-read the menu, drank cup after cup of tea and made frequent trips to the small, unpretentious two-stall Ladies Room. During my last trip, just as I finished relieving myself, I heard the outer door open and the door to the other stall close. I flushed, slowly washed and dried my hands, put on more eye liner and dawdled at the full length wall mirror. I tucked in my blouse and straightened my skirt, all the while listening intently to the melodious sounds of tinkling, crinkling flushing and farting. When her call of nature was completed, the former First Lady unceremoniously joined me at the mirror. I fussed with my hair, discreetly studying her stylish beige on beige striped silk pants and matching shirt. 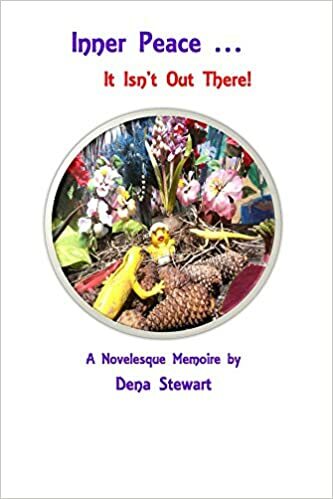 I noted the way she pursed her lips as she reapplied and gently blotted flattering red lipstick onto an ecru linen handkerchief she kept in a compartment of her chocolate brown Hermes bag. But I had another piece of gossip. I impulsively called my mother and related every detail of my chance in a lifetime, six minutes alone in the bathroom with the former First Lady.